« The End of The Information Age – Time to Fast/Forward Your Business? Short of some apocalyptic force-majeure, the Third Industrial Age, awash in terabytes of data, will continue confidently marching into every industry and segment, affecting processes, strategies, and customer expectations. Gartner predicts over $300 billion in revenues captured by IoT suppliers, and within five years, the firm projects one million new devices coming online every hour. 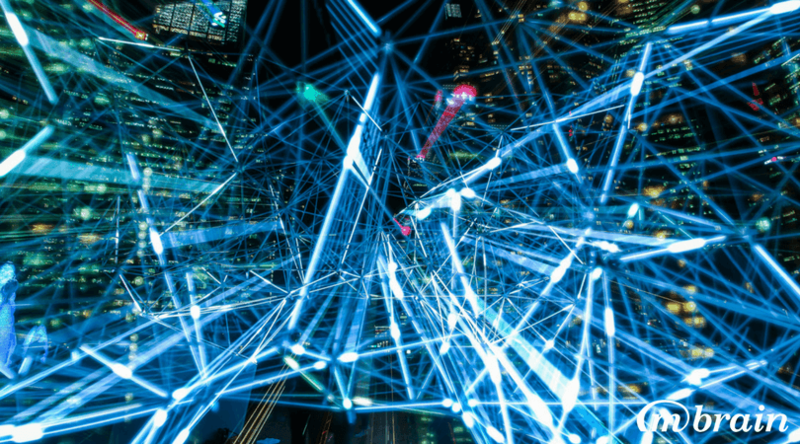 The truly intriguing aspect of IoT, however, isn’t just the staggering number of connections it creates, but the actual data obtained through these connections. In other words, the magic of devices like Amazon Echo doesn’t lie solely in its ability to lower your living-room temperature while reading you that ultimate Wikipedia article to settle a fiery trivia dispute. The magic is weaved in millions of consumer contact points, each interaction a master stroke on the canvas of the customer portrait, achieved with previously unseen level of granularity, translating into better analytics, better R&D, better manufacturing, better marketing, better sales, and ultimately better profitability. Data thus becomes an apt name for our new economic system, promising to upend the traditional roles and arrangements of businesses, suppliers, and customers. The ever-abundant body of diverse thought leadership on the subject is near-unanimous in its expectations for the Internet of Things and its potency for disruption of business structure, the basis of competitiveness, what we manufacture and sell, and how we do it. So how do we accomplish these ambitions? Across industries, ubiquitous sensorization is underway, with “smart” capabilities being hurriedly slapped on previously “dumb” devices, with more data collected than its accidental stewards know what to do with. As such, the emerging IoT business models are as diverse as the Internet of Things itself. In the future, the speed of IoT business model innovation will likely slow down and solidify around a few proven and effective methods. But for now, we are in the midst of an exploratory stage, rife with its own challenges: cybersecurity issues and privacy concerns, lack of standardization, lack of interoperability, frequent consumer confusion, and absence of clear returns while the pressures to invest and innovate are higher than ever. In this proverbial Wild West, a few business model trends already clearly emerge. The most obvious one is Just Connectivity: add connectivity to an existing product, build a companion app, and offer remote device management. The examples are numerous: from smart lightbulb to smart HVAC, to, frankly, a myriad devices and gadgets with the word “smart” in their description. Connectivity allows for improved product functionality, amplified capabilities of the physical components, and new service opportunities such as predictive maintenance or even adjacent services via third-parties. Take August Smart Lock, for example. August initially positioned its product as a keyless entry solution with locking, unlocking, and door monitoring capabilities. As of September 2017, Walmart is trialing August Smart Locks in its in-home delivery of packages and groceries – delivery drivers will be provided with a one-time password into customers’ homes, while the latter will be able to monitor the entire delivery process via mobile app notifications. August is thus using connectivity to pioneer a next-generation delivery service, the likes of which we’ll probably see piloted by other retailers. The second increasingly common business model is all about Collecting Data, more specifically about capturing, aggregating, anonymizing, packaging, analyzing, and selling it to third parties. User-Based-Insurance (UBI) is a growing insurance industry disruptor that relies precisely on this kind of model, with emerging players acting as data intermediaries between consumers and insurance providers. Some, however, have the gumption to experiment further. Allstate, for instance, created Arity, a telematics unit with technology to determine the likelihood of drivers getting into car accidents. Instead of keeping Arity classically embedded within its own ecosystem, Allstate spun it off as an independent subsidiary. Arity is now a textbook-case pillar of a creative business model, a way for Allstate to offer UBI telematics solutions to other companies, thus diversifying revenue streams. Another, often viewed as the most ambitious, model is Building Platforms. This two-pronged approach typically features a shared platform, APIs, a palette of partners, and allows IoT system players to generate revenue from the end-customer as well as from other platform users. In the world of home automation, for example, major tech companies hurried to build smart platforms as a way to cement their leadership in this segment. From Samsung SmartThings to Apple HomeKit to Google Home, competitors rushed to architect ecosystems and lure numerous partners (aka platform tenants) to populate them. Still others reared their own ecosystem as if by accident. Amazon’s Echo smart home device, supported by its Alexa virtual assistant, was at first just a wireless speaker, launched, by all external appearances, with no clear ecosystem ambitions. However, as more and more industry players rushed to ensure their own solutions play with Echo, Amazon found itself in the centre node of a growing network of solutions and devices that avidly learn new Alexa “skills,” and construe this interoperability as a focal point of their solutions’ market positioning. The battle for supremacy in the smart home sector rages on, but those early to the party are already setting the tone of how smart home functionalities are monetized. • Develop, systematize, and enhance your company’s knowledge on IoT monetization, emerging business models, trends, competitor and customer developments, and other critical signals. You are only as good as what you know, and, seeing how vast and dynamic the world of IoT is, this task will require systematic and continuous market intelligence practices, from targeted news monitoring to deep dives. • Define your company’s identity for the IoT World. Incorporate that vision into clear corporate policy and make sure to communicate it in your external market positioning. • Identify and situate your stakeholders. Who are the ultimate beneficiaries of the IoT data you collect? The end-user? You? Both? Or perhaps a third-party as well? • Speaking of third-parties, design and implement a policy framework to control the data you share externally. Data, after all, is the new oil, and needs to be handled with care. Many of the above-mentioned considerations raise raw existential questions about who you are as an organization, what are your goals, and how do you intend to accomplish them. This is only symptomatic of a seismic shift that comes with our Third Industrial Age. During the first two Henry Ford gave us the moving assembly line, and James Hargreaves invented the spinning jenny, revolutionizing the textile industry. The world was never the same after these innovations, and it most certainly won’t be the same after IoT. 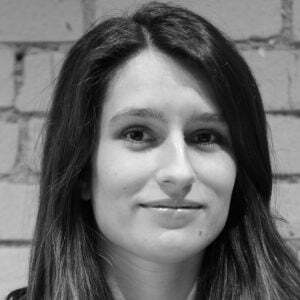 Lozynska is a Research Consultant at M-Brain, based in Toronto, Canada. Working with clients in industries ranging from automotive to financial services, she enjoys analyzing market intelligence signals into actionable insights.